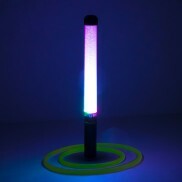 More fun than usual toys, glow toys are comforting too. 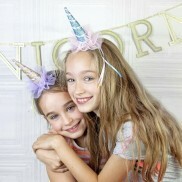 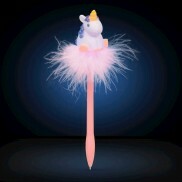 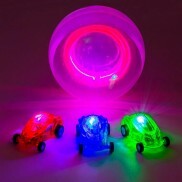 From a glowing take on classic toys to softly glowing teddies & more! 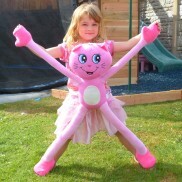 A super stretchy huggable friend that moves when you do, Stretchkins Pink Cat's feet light up when you dance too! 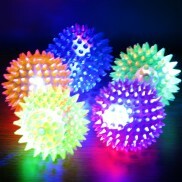 Spiky, squidgy and lit with flashing LEDs, these light up tactile balls are seriously satisfying to touch! 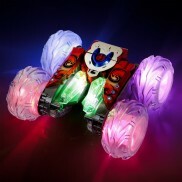 A disco party on wheels! 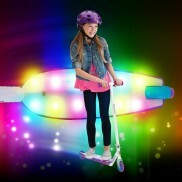 This party scooter by Razor has an incredible light up foot plate! 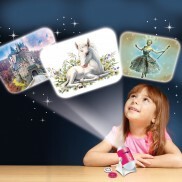 Take a trip into a fantasy world with a magical fairytale projector that shines up to 24 enchanting images! 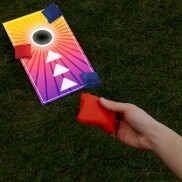 Put down the Xbox controller and take a step back in time to the gold of days of gaming on this retro desktop arcade machine! 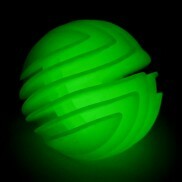 Soft, squidgy and irresistible to touch, this flexi ball glows in the dark for visual play even after dark! 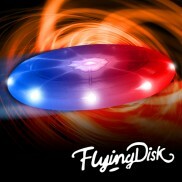 Turbo Looper stunt cars will make your head spin as they loop, spin and lock in dare devil chase sequences and incredible light up stunts! 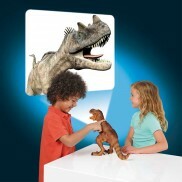 Transform your kids room into a jurassic world projecting 24 amazing dinosaur images upto 1m wide with this Dinosaur Projector and Nightlight. 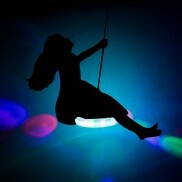 Shoot the Twirling Night Copter up to a whopping 300ft into the air and see it glide gracefully to earth lit with a super bright LED! 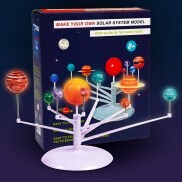 Make your own solar system with planets that revolve around the sun and paint them up to glow in the dark with this easy assemble model kit. 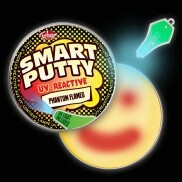 Mould, stretch, bounce and melt colour change UV smart putty for endless tactile play! 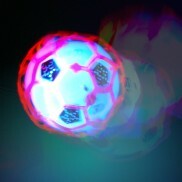 A jiggling bundle of bouncing fun, this dancing crazy ball, lights up, vibrates and jiggles while chanting a football song! 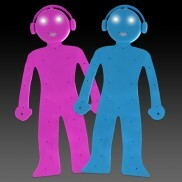 Read in the dark without disturbing others and keep your place too with the practical little Bendy Man Book Light! 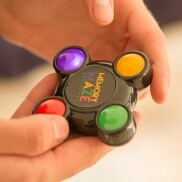 Control the roll with Zing Thumb Chucks, the latest skill play fidget toy that's totally addictive! 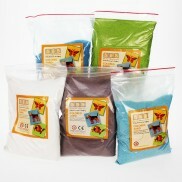 Create textured art, decorate and enjoy tactile sensory led play with multi coloured sand in resealable bags. 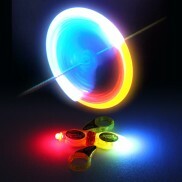 Tug the strings on this whirring light show spinner and see it twist and turn creating intense circles of colourful light! 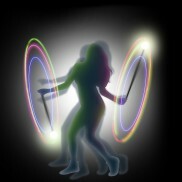 Twist, swing and perform with flashing poi for mesmerising light effects in a rainbow of colour! 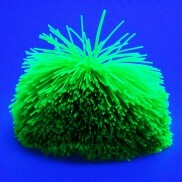 Soft, tactile and formed entirely from elasticated strings, this UV reactive ball is seriously soothing to touch! 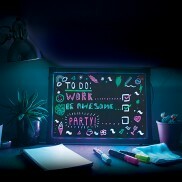 Share your thoughts, notes and quotes on this large message frame with colour change neon effects! 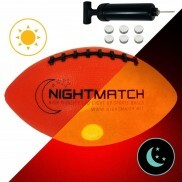 Practice your ball skills long after dark with this official size 6 light up American football! 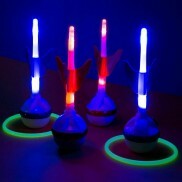 Good retro bouncing fun, this cute space hopper lights up with flashing lights when you bounce! 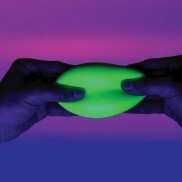 The ultimate tactile toy, this smart putty can be stretched, bounced and more, and it glows in the dark too! 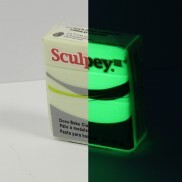 Sculpt and design your own creations from clay that glow in the dark with this oven bake clay. 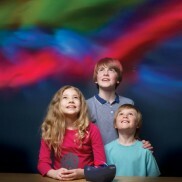 What if you could build your very own construction and then light it up so that it shines brightly for all to see? 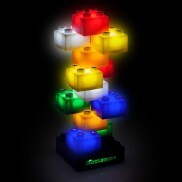 Light Stax building blocks illuminate from within for truly enlightened buildings! 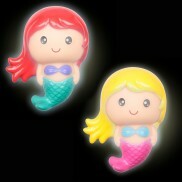 Light up bath time with a sweet floating mermaid bath toy that flashes with colour change light! 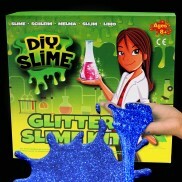 Sparkle, shine and create your very own glitter slime with this DIY slime kit! 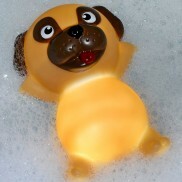 A very cute Pug bath buddy with a light up tummy that bobs on the water as you bathe. 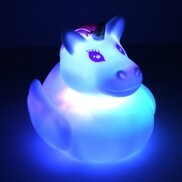 Keep kids dry on rainy days with an adorable duck umbrella that quacks and lights up! 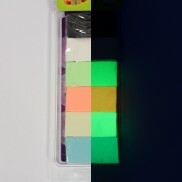 Get creative with oven bake clay kits for unique creatures and works of art that glow in the dark! 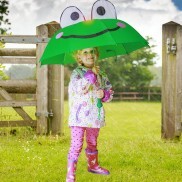 Brighten up rainy days with a fun frog umbrella that lights up at the tip and makes frog sounds! 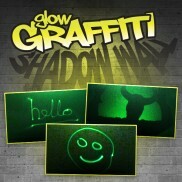 Have fun and get creative in the dark with the fantastic Novaglow Glow Graffiti Shadow Wall - Paint with light and make shadows - Watch the video! 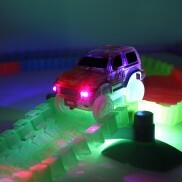 The ultimate in flexibility, this magic race track bends, twists and tilts for incredible racing that glows in the dark too! 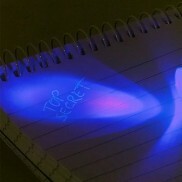 Keep your secrets safe from nosy siblings and prying parents with the Secret Spy Message Kit! 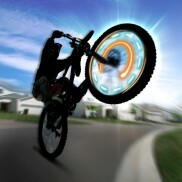 Light up the night with the Fuze Gyro Glow, creating awesome spiralling patterns of light as you pedal. 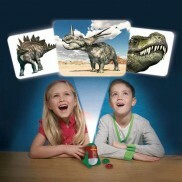 Get up close and personal with mighty dino's and keep nosy siblings from invading your room with a terrifying roar from the T-Rex projector and room guard! 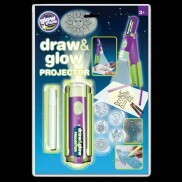 Get your creativity glowing with a draw and glow projector! 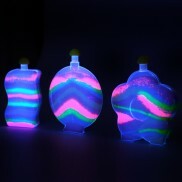 Trace your images and highlight with glow in the dark ink for out of this world designs! 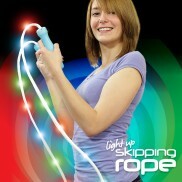 Swing, jump and skip to activate the flashing ball and create colourful patterns of light with the flashing skip ball! 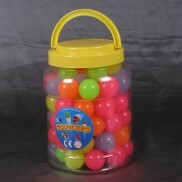 Get your bounce on and enjoy endless play even after dark with this mega tub of glow in the dark bouncy balls! 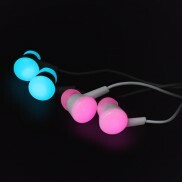 Be cool and be seen with Blink Budz – motion activated earphones that flash as you move. 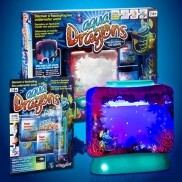 Grow your own Aqua Dragons and watch them grow, eat, swim, play and even reproduce, in their fascinating illuminated underwater world! 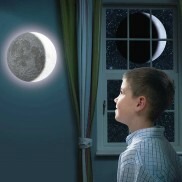 Light up your room with your very own moon! 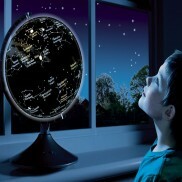 The remote controlled Illuminated Moon shines with the twelve phases of the moon into your room. 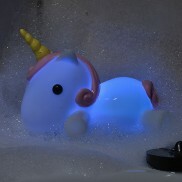 A bedtime buddy for your little one, the Fisher Price Soothe and Glow Owl plays eight different lullabies and has a comforting light up tummy. 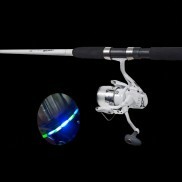 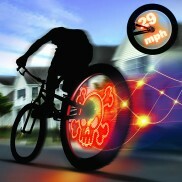 The Fuze Wheel Writer features super-bright LED’s that create cool images and animations as you ride. 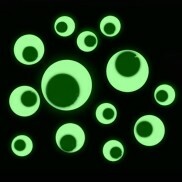 The faster you pedal, the cooler they look! 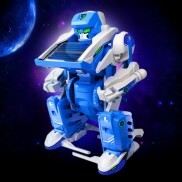 A 3 in 1 transformer, this little robot becomes a tank and a spaceship, expose it to sunlight and the solar panels energise it making it move! 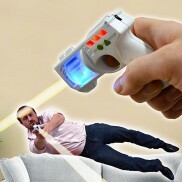 Hours of fun for the kids, and you! 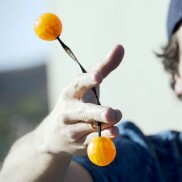 Tengu All Stars have all the character of Original Tengu with an added dose of awesome! 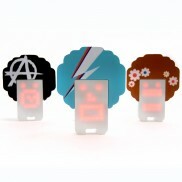 Three fun characters available. 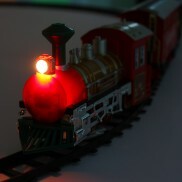 Whether given as a gift or brought out year after year as a much loved Christmas decoration, this Christmas train set is full of festive cheer. 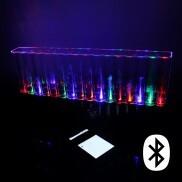 See your favourite tunes come to life in a riot of colour and dancing water effects from this incredible disco sound bar! 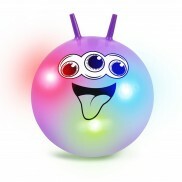 Give funky character to inanimate objects with these cool Glow in the Dark Googly Eyes. 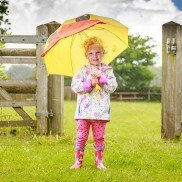 Keep the emergency tin with you for all eventualities! 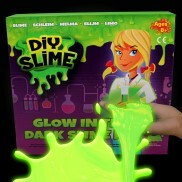 Make your own oozing slime and see it glow in the dark with this amazing DIY slime kit! 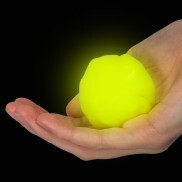 Soft, squidgy and glow in the dark too, this squeezy Needoh ball gives you a sensory hit and is seriously satisfying! 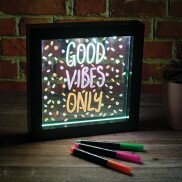 An eye catching way to share messages in your home, this light up neon effect frame allows your notes to fluoresce!